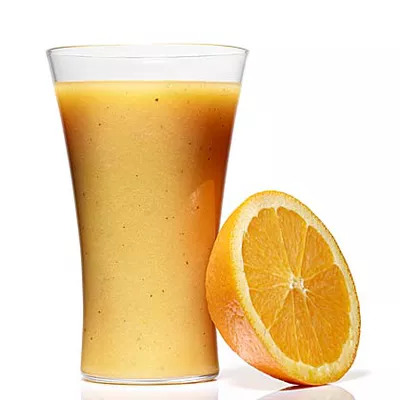 This vitamin-packed juice, which contains oranges, grapefruit, and kiwis, can help you keep your immune system in tip-top shape and is a good choice if you're trying a juice cleanse. The kiwis alone supply nearly twice your daily vitamin C—and the citrus delivers another boost of the cold-busting vitamin. This vitamin-packed juice, which contains oranges, grapefruit, and kiwis, can help you keep your immune system in tip-top shape and is a good choice if you're trying a juice cleanse. The kiwis alone supply nearly twice your daily vitamin C—and the citrus delivers another boost of the cold-busting vitamin. With only 156 calories, 1 gram of fat, and no cholesterol we know you're going to love it!